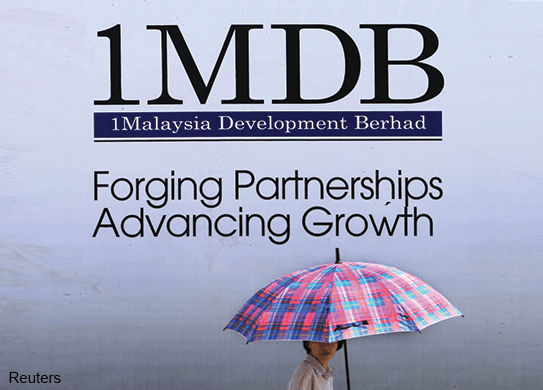 SINGAPORE (May 13): The financial plight of the debt-laden 1Malaysia Development Bhd (1MDB) is set to deepen, as jittery lenders of a US$975 million syndicated loan led by Deutsche Bank plan to ask the troubled state-owned firm to pay up before the loan falls due in less than four months. deemed "incomplete", as one of the covenants was not fulfilled. This essentially allows lenders to demand payment on the loan anytime before it becomes due at the end of August. Singapore authorities that the documents related to 1MDB's account in BSI were in fact "false bank statements" and "did not represent a true account of the assets of the 1MDB subsidiary". In short, Sarawak Report alleged that there was "no actual cash" in the account, citing "insider information gained in Singapore". A lawyer said: "MAS is a prudent and diligent regulator and has a lot of power to obtain information from banks very quickly. The question is whether this saga involving banks in Singapore is about lapses in best practices or breaches that are under the jurisdiction of other regulatory bodies such as the CAD (Commercial Affairs Department) and the police.